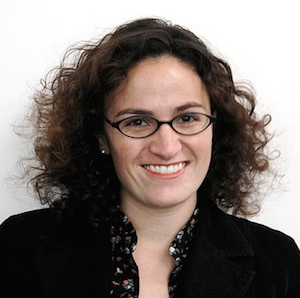 Marcia Hofmann is now in private practice and was a senior staff attorney at the Electronic Frontier Foundation, where she worked on a broad range of civil liberties issues including computer security, electronic privacy, free expression, and copyright. She is also a non-residential fellow at the Stanford Law School Center for Internet and Society and an adjunct professor at the University of California Hastings College of the Law. She tweets about law and technology issues at @marciahofmann. Marcia focused on computer crime and EFF’s Coders’ Rights Project, which promotes innovation and protects the rights of curious tinkerers and researchers in their cutting-edge exploration of technology. Before that, Marcia co-founded EFF’s open government litigation project. Documents made public though her government transparency work have been reported by the New York Times, Washington Post, National Public Radio, Fox News, and CNN, among others. Prior to joining EFF, Marcia was staff counsel and director of the Open Government Project at the Electronic Privacy Information Center (EPIC). She is a graduate of Mount Holyoke College and the University of Dayton School of Law.